What's the real value of antiques? What’s the real value of antiques? Monetary value isn’t everything when it comes to antiques, writes dealer Edd Thomas, chairman of the Antiques Young Guns. In today’s money-driven world, where everything has a cash value, is there anything more valuable than worthless? I’m reminded of this watching a re-run of a TV antiques-related quiz show. The formula is simple: an intriguing object appears, the contestants guess a price, and when a high value is revealed the camera goes straight to close-up for gasps of surprise and the object is quickly shuffled off backstage. Of course this is TV so I watch on but, at the same time, feel like I’ve just ingested the antiques equivalent of a Big Mac (which still leaves me hungry). We are used to the idea that everything has a worth, but why should it always be considered in monetary terms? To me, the true value of any piece lies in its social value. Each of us owns an object we cherish beyond price and that important bond should never be forgotten or abused. 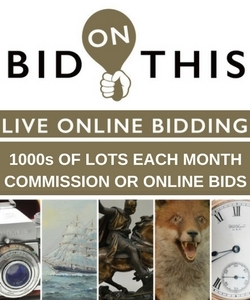 As a lifelong supporter of the Antiques Roadshow (a programme dedicated to both the story and the value), for me the most memorable objects I can recall have been those where the piece proved worthless but the story priceless – rather than the other way round. All too often I’ve wished the owners would request outright not to know the object’s monetary value as it unduly tilts an otherwise beautiful relationship. And sometimes you sense the specialist feels contractually obliged to reveal the price as his “verdict”, like a comedian tied to a punchline. One of the perks of my job is getting to meet people from all walks of life; most are lovely while others are truly inspirational. From oligarchs to students, I’ve delivered to them all, and it seems that no matter who they are, we all still need basic furniture in our homes. A few months ago I had the privilege of selling a late 19th-century specimen-wood dining table from Ceylon to a new client. On the agreed date I dropped it off at their home. As often happens, the buyer had ummed and ahhed over the piece for a while (not that surprising when you consider she’d only seen images of it I’d posted online). When we finally met, and had placed the table in its new home, the owner explained her position. She apologised for the length of time it had taken to make her mind up. It was, as she put it, because this was her “forever” table. All at once I felt humbled. It turned out, chatting over coffee with friends, she’d decided it was time to invest in a few pieces – items to keep, use and enjoy till the end. It was a beautiful sentiment, and one that kept me pondering all the way home. With today’s mentality of fast fashion, how many of us can really say we have bought “forever” pieces? I know I can’t. I don’t mean granny’s old sewing box or great-grandad’s medals, of which we are just custodians before passing them on to the next generation. Of the items we buy for ourselves for use on a daily basis, how many are genuinely long-term rather than short-term prospects? When you first suggest the idea of a “forever” piece to someone, “expensive” instantly springs to mind, as if only expensive things can be enjoyed properly. But it need not be so. As my client understood, the financial value would become meaningless, once she’d purchased it. Instead, she was investing in a table that made her truly happy every time she sat at it. Inspired, I’ve now set myself the goal of buying a few “forever” pieces for myself. Try it yourself. You’ll find the self-restraint required is truly eye opening and you’ll end up living with beautiful things, rather than a home full of compromises or fads! 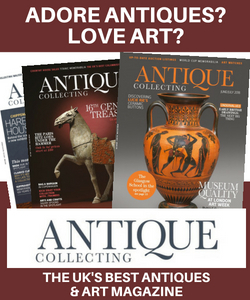 If you’re looking for advice on how to start buying antiques and art, why not take out a subscription to Antique Collecting magazine and get all the best antiques and arts news delivered straight to your door? 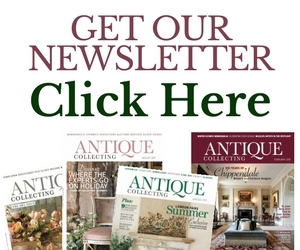 Packed with news from the auction houses, top events, expert advice and opinion, and in-depth antiques buying guides, Antique Collecting has been at the heart of the antiques and art market for 50 years. An annual subscription starts from just £32 a year – find out more about how to subscribe here.